LinkedIn Launch Program outlines the exact process Kylie uses to grow businesses using LinkedIn with easy to follow lesson structure and ongoing support. I am super excited to invite you to the LinkedIn Launch Program. Here at Kylie Chown Consulting, we are all about using LinkedIn to generate leads, get more clients and grow your business. By joining the LinkedIn Launch Program you will have access to ongoing support and training with Kylie and her network of experts. You will gain immediate access to our private group. This is a place where businesses come to learn, encourage and grow using LinkedIn. I look forward to seeing you in the LinkedIn Launch Program soon. > Online Training with immediate access to the entire course content. No minimum commitment. Get everything you need upfront. > Fortnightly Q&A calls for 6 months from the commencement of course date. > Lifetime access to our closed community where I share the latest in Linkedin for business growth. > Results Driven 2019 course content. This course is designed for those who know there is an opportunity on LinkedIn but don’t know how. It provides the tools and strategies you need for LinkedIn Sales Success. You can access to the entire course up front. No minimum or monthly commitment. Get everything you need now. People know there is an opportunity on LinkedIn. They are time poor and don’t know where to begin. LinkedIn Launch Program will share with you the proven 5 step process I use for myself and my clients. A process that develops trust, positions as an authority and generates leads. Did you know that LinkedIn generates more leads for service-based businesses than Facebook, Twitter or standalone blogs? In fact, 80% of B2B marketing leads from social media come through LinkedIn. 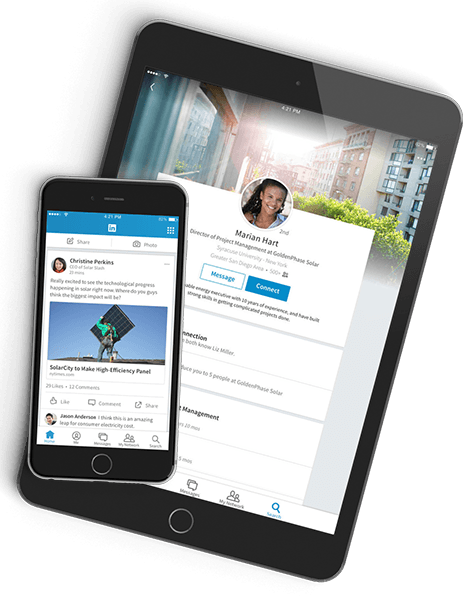 If you are not getting results from your LinkedIn profile you are not tapping into one of the most powerful marketing tools at your fingertips. > Online Training with immediate access to the entire course. No minimum commitment. Get everything you need upfront. > Fortnightly Q&A calls for 6 months. > Lifetime access to use closed community where I share the latest in Linkedin for business growth. > Results Driven 2019 course content. LinkedIn has been making massive changes over the last couple of years. This content is the very latest in LinkedIn. > You can access to the entire course.